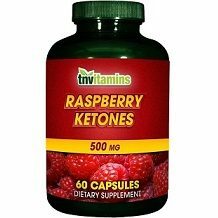 Welcome to our review today of a product that TN Vitamins made called Raspberry Ketones. Consumers who want to know everything about the product will find the information in this review. We will also determine if the product can give consumers results. The product was made to help you lose weight, as well as boost your metabolism. The manufacturer stated that the product should be used in conjunction with a healthy diet and regular exercise. 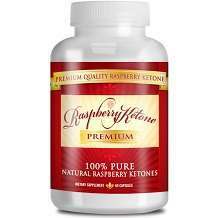 The main ingredient in the product is Raspberry Ketones. The ingredient should help you to lose weight, as well as assist in boosting your metabolism. The inactive ingredients are Rice Powder, Gelatin, Vegetable Magnesium Stearate and Silica. Always speak to a health professional before you use any product. Your doctor needs to advise you if your condition is suitable for the consumption of the product. The manufacturer recommended that you consume 1 capsule two times daily. The manufacturer did not mention if the doses should be incorporated into meals. We also do not know the time of day to consume the product to achieve optimal health. The manufacturer stated that pregnant or nursing women, individuals who are lactating or are under medical supervision need to speak to a doctor before they use the product. The product consists of 60 capsules that you can purchase from the manufacturer’s website. The cost is $7.49. The manufacturer did reduce the price of the product. Consumers have to pay for the courier fees of the product, as the manufacturer did not include it in the purchase price. If you wish to return the product because you thought that it did not give you the results you wanted, the manufacturer granted a 90-day money-back guarantee for the product. Consumers who return the product must pay for the shipping. Our scrutiny showed us everything about the product that consumers must take into account before they decide to buy the product. The manufacturer mad the product to help you lose weight, as well as boost your metabolism. The manufacturer stated that the product should be used in conjunction with a healthy diet and regular exercise. The product has several flaws that we found during our scrutiny. The manufacturer did not state if food should be incorporated into the doses. We also do not know the best time of day to consume the doses so that we can obtain the best results and avoid side effects. Consumers will incur an extra expense, which is for the courier of the product, as the manufacturer did not include it in the purchase price. You can return the product within 90-days of purchase if you are dissatisfied, but you have to pay for the shipping of the product to return it to the manufacturer. We could not find any customer testimonials, which tells us that only a few consumers have purchased the product. That means consumers do no think highly of the product.